This might sound like a rather extreme and drastic question, but international squash player Ravi Dixit recently made the headlines after he announced that he would be selling one of his kidneys in order to raise enough money to play in the South Asian Games. You could almost hear the collective sigh of relief, and disbelief, as he announced he had abandoned these plans. Yet the story has again brought to the fore the hardship endured by so many of the world’s tops athletes simply to attend events, represent their countries and inspire others to participate. According to the BBC Sport website, Ravi Dixit, the world number 211 from India, offered to sell a kidney for 800,000 rupees, which equates to roughly £8,300. He later admitted that he “never intended to sell my kidney”, and that he’d posted the ad on the ‘spur of the moment’. Empty gesture or not, it would never have happened, we hope, since such sales are illegal in India. His comments drew a lot of international attention and put the spotlight back on the struggle athletes face to fund careers, something that affects not just a minority but is commonplace for a large majority of players that rank outside of the very top spots. Squash players, in general, earn considerably less that their tennis counterparts for example, and that applies to all facets of their potential earnings: prize money, sponsorship deals and funding from national boards to name a few. Those who are successful at the major international tournaments can earn good money and secure lucrative deals with sponsors although not on the scale of someone like Roger Federer – think Nike, Gillette, Rolex, Wilson, Mercedes-Benz. 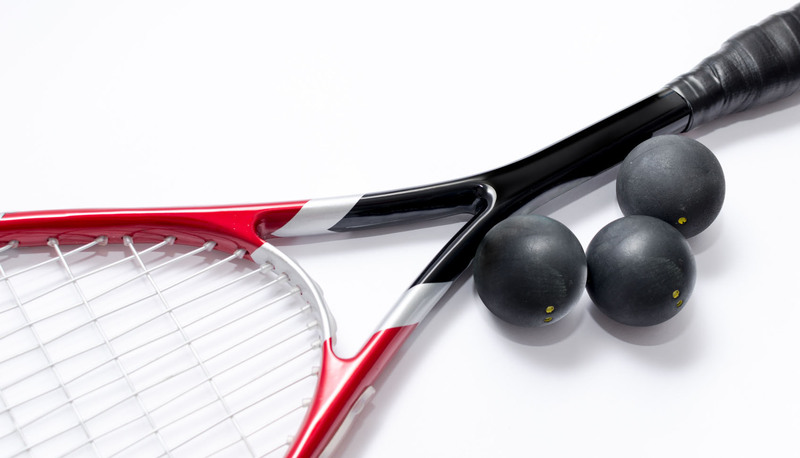 However, the costs associated with being a professional player – travelling worldwide to events, staying in hotels, training all year round, hiring coaches – isn’t necessarily a lot lower for a squash player compared to a tennis player. This is why Ravi Dixit expressed his need to resort to such a radical and desperate course of action in order to attend the South Asian Games. Indian squash player Ravi Dixit, who considered selling a kidney to fund his career before retracting the statement. Despite being ranked outside the top 200 in the world, the 23-year-old who hails from Dhampur in the Uttar Pradesh state has had success in his career, winning gold when representing his country at the 2010 Asian Junior Squash Championships. He has also won other events and medals but, as many other squash players will confirm, this success does not always equate to financial rewards. Take Julian Illingworth for example, the USA’s most decorated squash player. Although he graduated from Yale, he decided to follow his passion and love for the game instead of going into a more financially stable and fruitful career. Illingworth had the talent, though, and he won 8 national champions in a row, smashing the record books along the way. Yet outside of squash, no one would have heard of him as squash is very much a minority sport in the US. In a frank interview with Sports On Earth, Illingworth talks about the difficulties of funding his career despite his resounding successes and a ranking of within the top 50 for a number of years. He states that the paychecks for triumphing at the US National Championships, about $6500 then cut to $2000, didn’t cover all the costs he incurred, as was the same with other tournament victories. In the case of an injury, prize money income drops to zero and increased costs can occur from medical bills. Not forgetting also that an athlete rarely stays at their peak for more than 10-12 years, limiting their earnings and meaning once they retire they have to start another career, whatever that may be. Illingworth has coached squash, run clinics and concentrated on domestic tournaments to reduce travel and accommodation costs and earn enough to support his career, all whilst fitting in hours on the court and in the gym to ensure he performs to his best in events. His story is by no means a one-off, with many sportspeople funding their training with paid work ranging from glamorous jobs such as modeling to more mundane ones such as painting and decorating, plumbing and the like. Some, however, are getting creative and exploring more modern and entrepreneurial avenues. The most recent funding trend is crowdfunding where members of the public of a given nation are invited to donate to the cause. Speaking to Squash Mad in late 2015, Low Wee Wern, one of Malaysia’s top squash players who has ranked as high as 5 in the world, tells of her plans to create a website where sponsors interested in funding her can get a better insight into how beneficial she can be to their businesses. By linking sponsors more closely with her fanbase she hopes all parties will benefit more, herself, her fans and the investors. She also has plans to reward fans for their interaction with her social media pages, and because she can’t afford to employ a PR team she is doing a lot of the work herself. Selling vital organs has not yet happened to our knowledge in any sport, and we hope that the innovation that some players are now showing to fund themselves can inspire and rub off on others and help them find less risky ways to train and stay at the top.